Forerunner 630 has all the numbers to measure a runner. 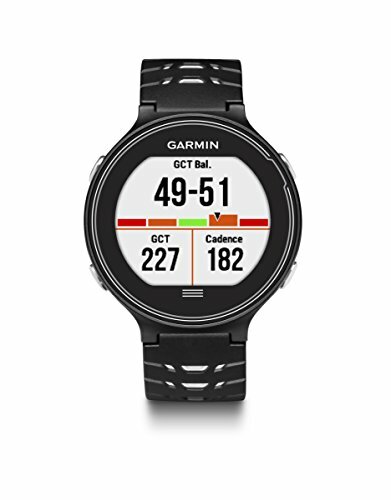 The touchscreen GPS running watch features advanced running dynamics1, extended physiological3 measurements, and extensive smart features2. The 630 also measures your heart to provide a stress score3, performance condition3 and lactate threshold3. Pairing with an HRM-Run also enables advanced running dynamics: ground contact time balance, vertical ratio, and real-time stride length. Smart features2 include e-mail, text, call and calendar smart notifications, and Connect IQ applications, watch faces, widgets and data fields. Additional connected features2 include automatic uploads to Garmin Connect, audio prompts and live tracking. SMART NOTIFICATIONS - See incoming email, text messages, call alerts, calendar reminders and more from your compatible smartphone.